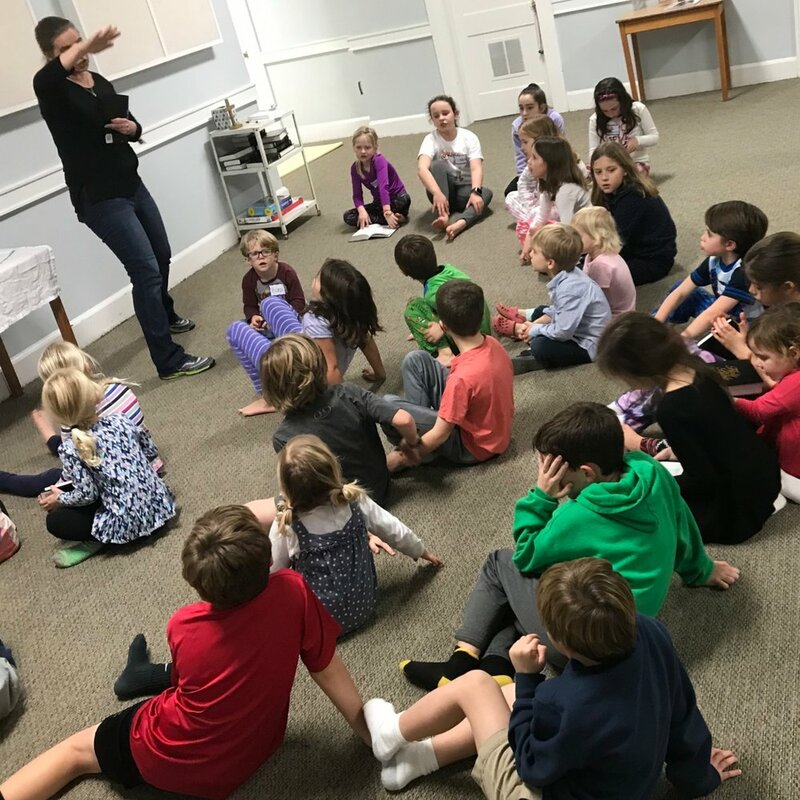 St. Paul's Children's Ministry wants to encourage children to grow in their love and understanding of Jesus and to be bold witnesses to others sharing His love. It is the mission of SPC Children's Ministry that children KNOW JESUS as their Savior. We pray that they will know the word of God is alive and active in their lives and that they will boldly MAKE HIM KNOWN to people they meet. We have a nursery for the littlest Sunday morning worshipers ages 0-3. You are welcome to drop off your children in the nursery any time after 9:45AM. At SPC children of nursery age can be picked up during communion to receive a blessing and join their family in worship or remain in the nursery until the end of service. For children K3-5th grade SPC invites them to begin worship with their families in the pew. The children will be led downstairs before the readings to share in the word with their friends in an age appropriate lesson. They will come back up at the peace to conclude worship with their families. The third Friday of every month January - November SPC offers a movie night for kids K3-5th grade. We eat pizza, play games, have a lesson, craft and watch a movie. It is SPC prayer that parents would use this time for fun, fellowship and recharging in the Lord too! December is a special month with a Saturday morning devoted to "Know Well" the true meaning of Christmas activities and lessons centered around the true meaning of Advent and Christmas.